This is the desert version of the famous A-6E Intruder "Hussein Hunter" series of patches created back during the first Desert Storm. This one has been modified to reflect the latest Operation Iraqi Freedom War date of 03-20-03 even though the aircraft has long since been decommissioned and DID NOT participate in OIF. Will be quite the collector's item. This is the desert version of the famous AV-8B Harrier "Hussein Hunter" series of patches created back during the first Desert Storm. This one has been modified to reflect the latest Operation Iraqi Freedom War date of 03-20-03. 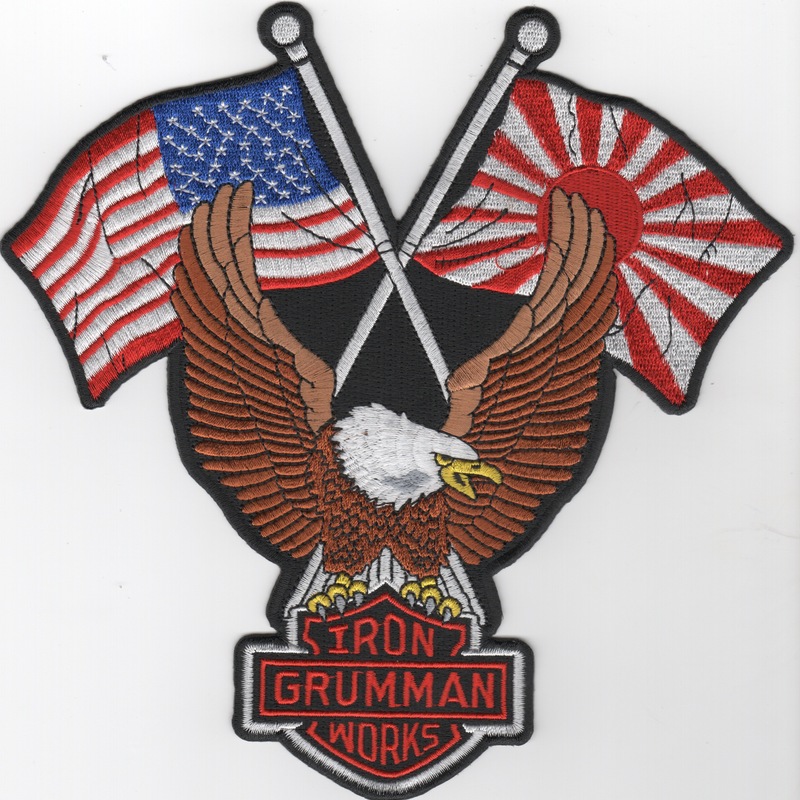 This is the deployment patch for one of the AV-8B Harrier squadrons that deployed to the Western Pacific theater (WESTPAC) in 2000. I don't know which squadron it was, but I believe it was to Japan, as depicted by the setting sun. 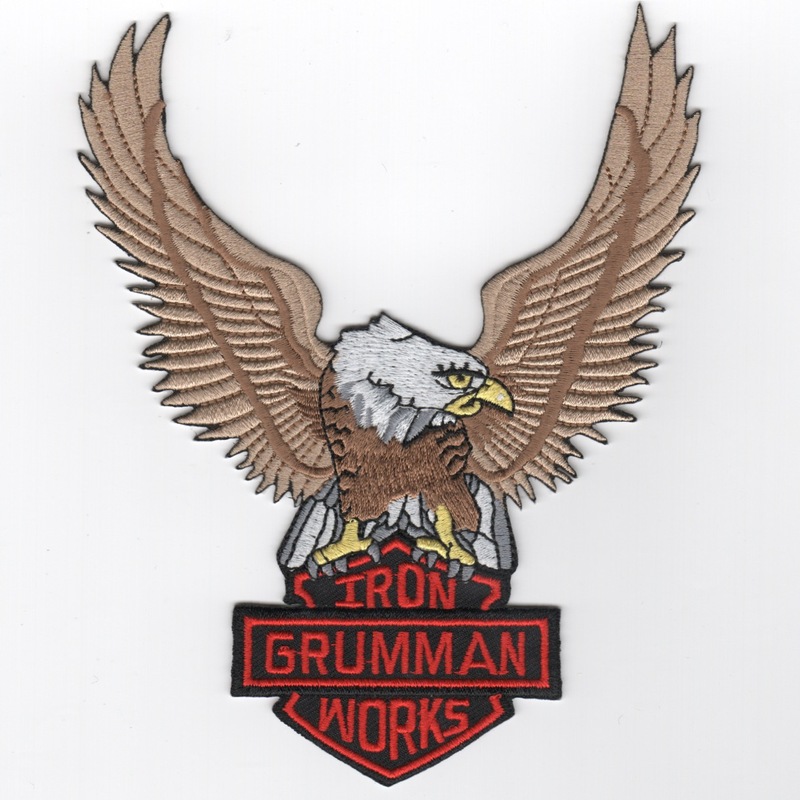 This is the AV-8B version of the "Attack" patch worn by Harrier pilots that have attended or taught at the Marine Air Weapons and Tactics School (MAWTS-1) located at MCAS Yuma, AR. Great school for learning how to employ not only that aircraft, but an entire strike package. 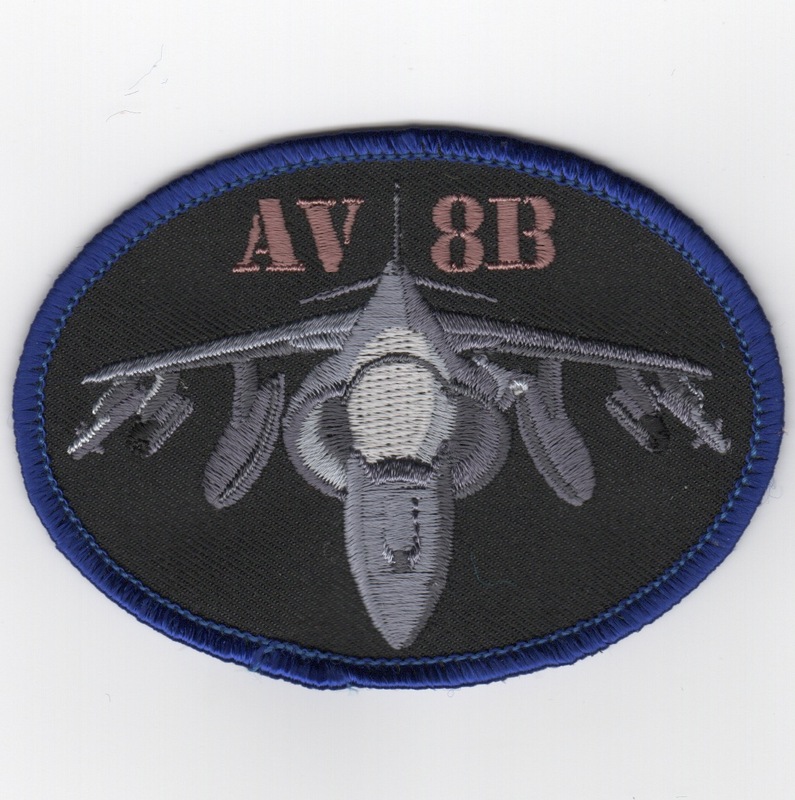 This is the black oval aircraft patch for the AV-8B Harrier. 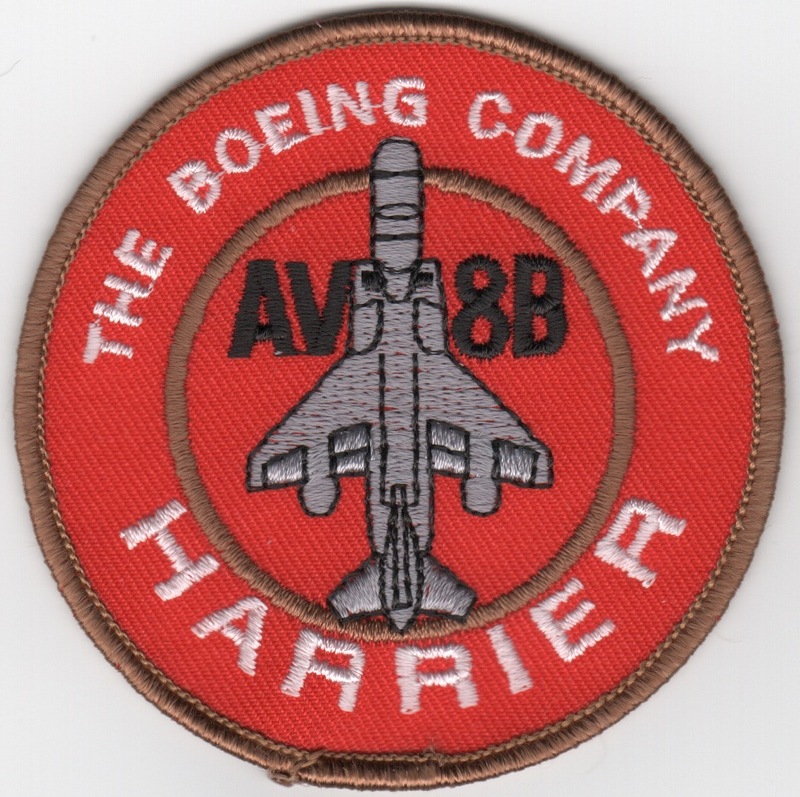 This is the red bullet patch for the AV-8B Harrier. This is the desert version of the 2006 OIF detachment patch created for the USMC AV-8B squadron that deployed to the base located west of Baghdad. 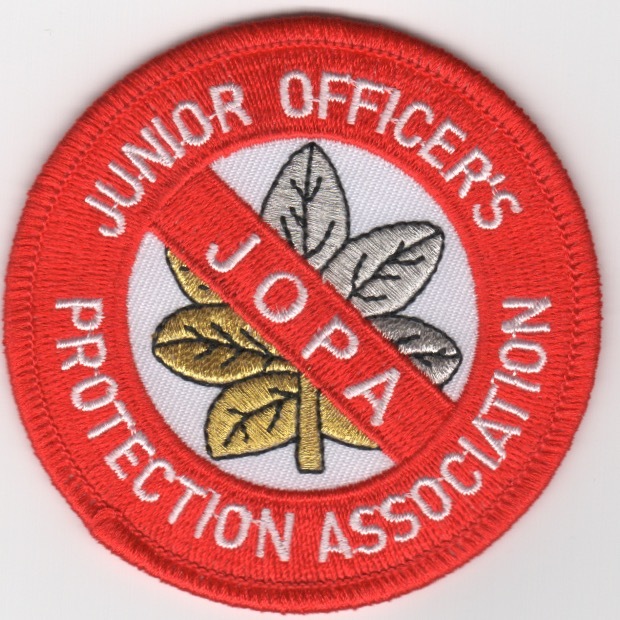 This shoulder patch can be worn by those 'Corps aviators on the right shoulder of their flight suits to indicate the aircraft they are NATOPS qualified in. This is the desert version of the Harrier V/STOL bird worn by many of the USMC Harrier pilots. This shoulder patch can be worn by those 'Corps aviators on the right shoulder of their flight suits to indicate the aircraft they are NATOPS qualified in. 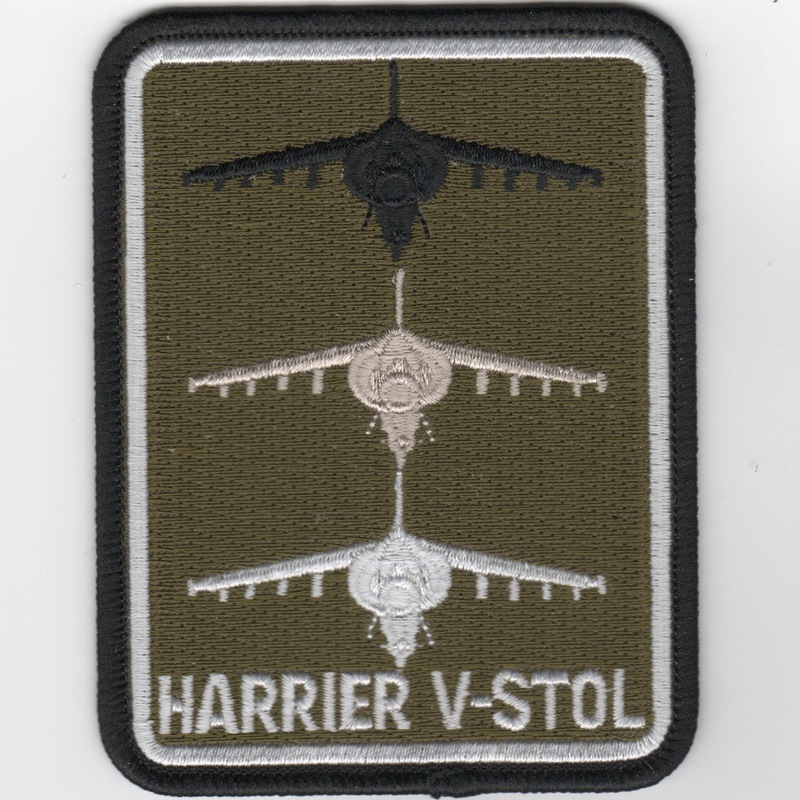 This is the subdued version of the Harrier V/STOL bird worn by many of the USMC Harrier pilots. Homepage | Order Misc USMC Patches!